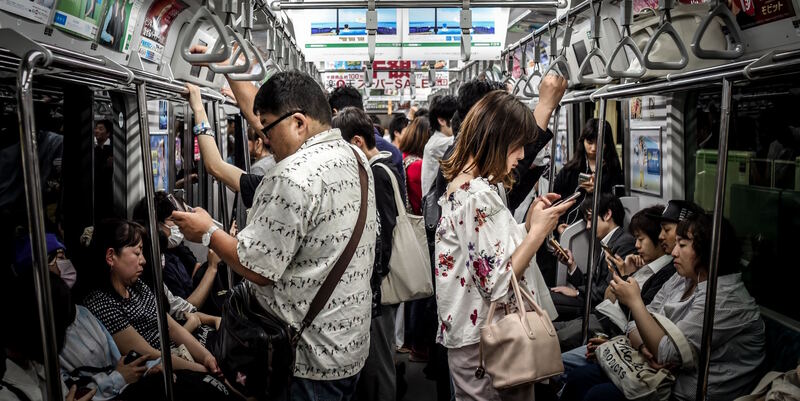 Since phones have taken over it seems to me that people are reading less in public spaces. My children and I flout this at every opportunity. On a trip to the shops all three of them can often be seen trailing behind me, book in hand. (No one has met with calamity yet.) If I know I’ll be wasting time in queues, I’ll stuff my current novel into my bag before I leave home. But then as I stand in a line of people bent over their phones, I often feel almost mournful. Perhaps those either side of me are reading ebooks, but their scrolling fingers suggest otherwise. And I wonder, are we losing the art of reading? Are people reading less? Are we so spending so much time on social media that we are no longer taking time for deep reading? A 2016 Nielsen report puts average media consumption (social media, TV, radio and all electronic devices) at 10 hours a day. How is there time for anything else? And in 2016, a National Endowment for the Arts survey found that only 43 per cent of American adults had read ‘a work of literature’ for pleasure in the previous year. That stat depresses the hell out of me. More than half the country hadn’t read even one book in a whole year. That’s 163 million people who didn’t pick up a book for pleasure. 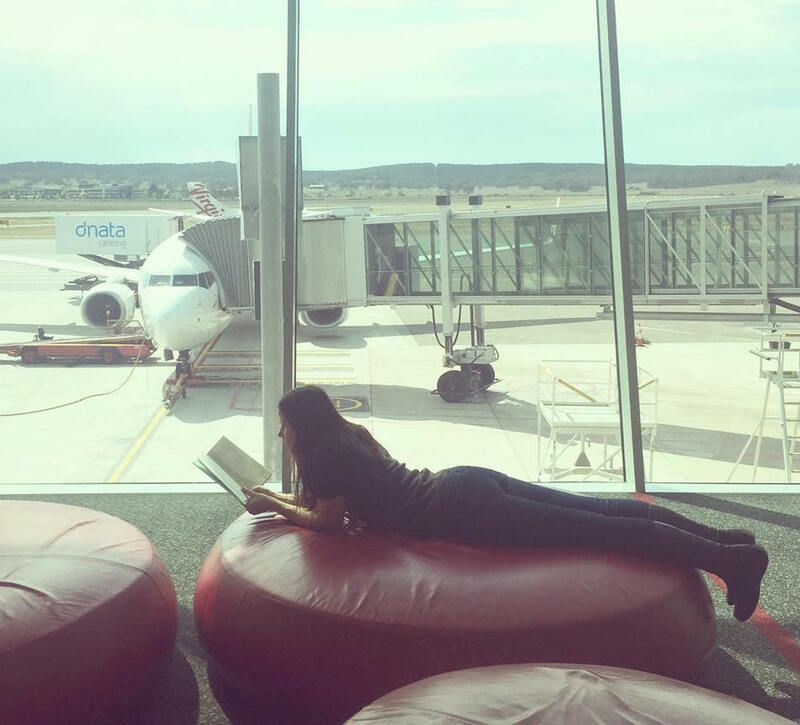 An airport ottoman made for reading. It worries me, this state of affairs. Not just because I’m a writer and editor, but because we need to be growing imaginative thinkers. Reading gives us space and time for reflection. Books are places where ideas germinate, where empathy is built, where questions are asked, and popular narratives are interrogated. In other words, with all the challenges our world is facing right now, we need books more than ever. So won’t you join me in bringing books into the public arena at every opportunity? Read wherever you find yourself, be it in a queue or on a bus or waiting for a plane. Let’s stop scrolling and instead cram books into every corner of our lives. I’ll wager we’ll all be the better for it. And maybe, just maybe, we’ll encourage someone else in that queue/bus/airport lounge to put down their phone, and pick up a book.